Katie Burke, a friend and colleague of mine, bakes a chocolate cake that’s so wickedly good it should be illegal in all 50 states. I’ve had the good fortune of enjoying this delectable cake at various times over the last several years, as Katie has made it for birthday celebrations and other special occasions at work. Let me be clear: Katie’s Should-Be-Famous Chocolate Cake is the best chocolate cake—or any cake, for that matter—I’ve ever eaten. Period. 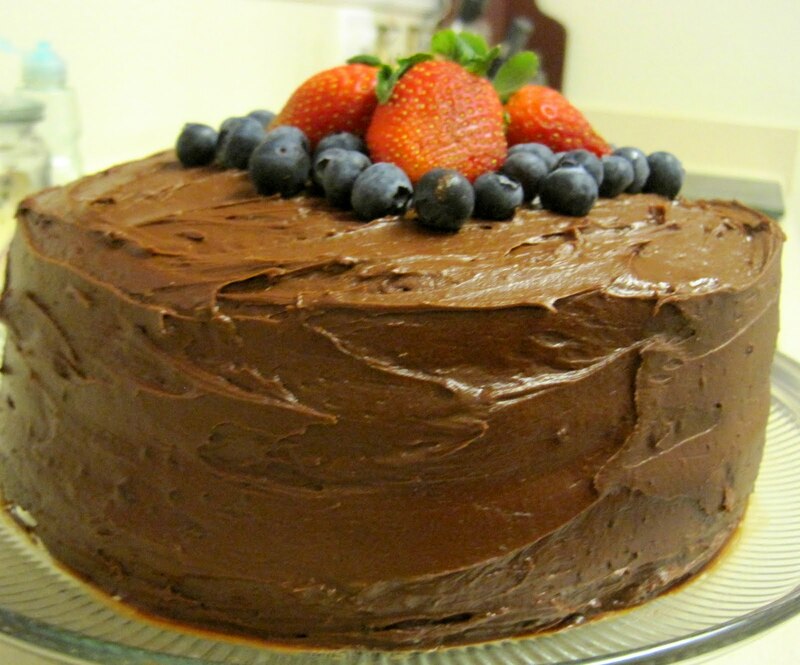 In fact, no other chocolate cake even comes close. So what makes Katie’s chocolate cake so scrumptiously delicious? It wasn’t easy, but I managed to get Katie to reveal a few secrets from the recipe. For instance: She substitutes applesauce for vegetable oil. “The applesauce is key for making it moist,” she insists. “Another trick is to make sure the eggs are room temperature. I also use 2 percent milk instead of whole milk. Katie has graciously agreed to custom-bake her Should-Be-Famous chocolate cake for any Lunchboy Says blog enthusiasts—for a special price of just $20. She’ll even make half a cake for $15. “I can also use the same recipe for cupcakes,” she says. A dozen cupcakes are $15; two dozen cost $25. Feel free to contact Katie directly at katherinemarieburke@gmail.com. Be sure to tell her Lunchboy sent you!